We may require that you create an account to use or access certain parts of the Site and Services and use certain products and features. We may require that you provide login information such as a username and password to access and utilize your account. As a condition of your use of the Site and Service, you agree to (a) provide ReviewMyCommunity.net with true, accurate, current and complete information as prompted by the ReviewMyCommunity.net’s registration forms, when registering for or using the Site and Services and (b) update and maintain the truthfulness, accuracy and completeness of such information. You are responsible for maintaining the confidentiality of any password or other account information not generally available to others and are fully responsible for all activities that occur under your username and password. While there are limited, legitimate reasons for creating multiple accounts, creating serial or overlapping accounts may result in account termination. Please contact us if you have questions about managing multiple accounts. 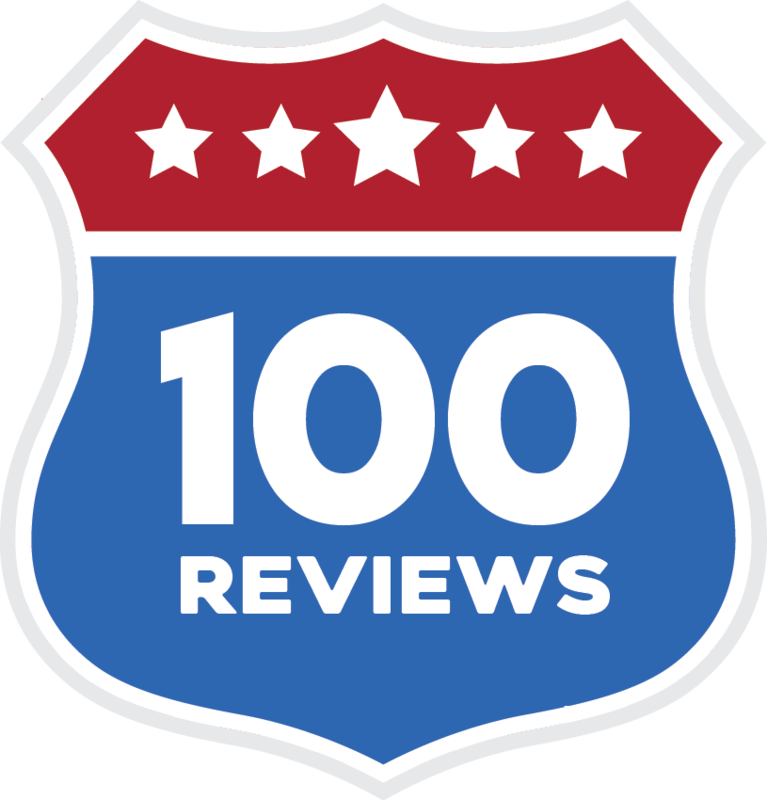 17 the reviews and ratings that you provide do not reflect the views of ReviewMyCommunity.net, its officers, managers, owners, employees, agents, designees or other users. ReviewMyCommunity.net cannot and does not guarantee the accuracy, integrity, quality or appropriateness of any Content transmitted to or through the Site and Services. You acknowledge that ReviewMyCommunity.net simply acts as a passive conduit and an interactive computer service provider for the publication and distribution of user-generated. You understand that all posted on, transmitted through or linked through the Service, are the sole responsibility of the person from whom such Content originated. You understand that ReviewMyCommunity.net does not control, and is not responsible for Content or Service Provider Content made available through the Site and Services, and that by using the Site and Services, you may be exposed to Content that is inaccurate, misleading, or offensive. You agree that you must evaluate and make your own judgment, and bear all risks associated with, the use of any Content. You agree that ReviewMyCommunity.net may establish general practices, policies and limits, which may or may not be published, concerning the use of the Site and Services, including without limitation, the time that reviews and ratings will be retained, the maximum number of reviews and ratings that may be sent from an account, the length of reviews and ratings sent, and the maximum number of times and the maximum duration for which you may access the Site and Services in a given period of time. You agree that ReviewMyCommunity.net has no responsibility or liability for the deletion or failure to store any Content or other materials maintained or transmitted by or through the Site and Services. You agree that ReviewMyCommunity.net has the right to change these general practices and limits at any time, in its sole discretion, with or without notice. ReviewMyCommunity.net does not endorse and is not responsible or liable for any Content, data, advertising, products, goods or services available or unavailable from, or through, any third party or Service Provider. You agree that should you use or rely on such Content, data, advertisement, products, goods or services, available or unavailable from, or through any third party or Service Provider, ReviewMyCommunity.net is not responsible or liable, indirectly or directly, for any damage or loss caused or alleged to be caused by or in connection with such use or reliance. Your dealings with, or participation in promotions of any Service Provider, and any other terms, conditions, representations or warranties associated with such dealings, are between you and such Service Provider exclusively and do not involve ReviewMyCommunity.net. You should make whatever investigation or other resources that you deem necessary or appropriate before hiring or engaging Service Providers. Third parties and Service Providers may link or otherwise direct Internet users to our Site and Services for the purpose of utilizing one or more of the services we provide on behalf of others. Additionally, we may provide links or otherwise direct you to third party or Service Provider websites. ReviewMyCommunity.net does not control or operate any such third party or Service Provider websites. Any information you provide to these third party or Service Provider websites while on these third party or Service Provider websites is subject to the respective policies of those third parties or Service Providers, and not ReviewMyCommunity.net’s policies. It is your responsibility to review such third party or Service Provider policies, including any relevant privacy policies. You agree that ReviewMyCommunity.net will not be responsible or liable for, and does not endorse any content, advertising, goods or services provided on or through these outside websites or for your use or inability to use such websites. ReviewMyCommunity.net does not make any representations or warranties as to the security of any information (including, without limitation, credit card and other personal information) you might be requested to give to any third party or Service Provider. You use these third party or Service Provider websites at your own risk. You agree that ReviewMyCommunity.net is not responsible for the accessibility or unavailability of any Service Provider or for your interactions and dealings with them, waive the right to bring or assert any claim against ReviewMyCommunity.net relating to any interactions or dealings with any Service Provider, and release ReviewMyCommunity.net from any and all liability for or relating to any interactions or dealings with Service Providers. Without limiting the foregoing, your correspondence or business dealings with, consumption of products or services of, or participation in promotions of, third parties or Service Providers found on or through the use of the Site and Services, including payment for and delivery or fulfillment of related goods or services, and any other terms, conditions, warranties, or representations associated with such dealings, are solely between you and such third party. You agree that ReviewMyCommunity.net shall not be responsible or liable, directly or indirectly, for any loss or damage of any sort incurred as the result of any such dealings or as the result of the presence of such third parties or Service Providers on the ReviewMyCommunity.net Site and Services. The Site and Services and its Content are for informational purposes only. The Content is not intended to be a substitute for professional advice. Never disregard professional advice or delay in seeking it because of something you have read on the Site and Services. ReviewMyCommunity.net may terminate your privilege to use or access the Site and Services immediately and without notice for any reason whatsoever. Upon such termination, you must immediately cease accessing or using the Site and Services and agree not access or make use of, or attempt to use, the Site and Services. Furthermore, you acknowledge that ReviewMyCommunity.net reserves the right to take action — technical, legal or otherwise — to block, nullify or deny your ability to access the Site and Services. You understand that ReviewMyCommunity.net may exercise this right in its sole discretion, and this right shall be in addition to and not in substitution for any other rights and remedies available to ReviewMyCommunity.net. ReviewMyCommunity.net, and other Site and Services graphics, logos, designs, page headers, button icons, scripts, and service names are the trademarks of ReviewMyCommunity.net in the U.S. and/or other countries. These trademarks may not be used, including as part of trademarks and/or as part of domain names, keyword advertisements, or email addresses, or in connection with any product or service in any manner that is likely to cause confusion. You should assume all Content and material made available on the Site and Services is protect by copyright law. Aside from user-submitted Content, all other materials and other information on the Site and Services, including, but not limited to, all text, graphics, logos, icons, images, audio and video clips, downloads, data compilations and software are the exclusive property of ReviewMyCommunity.net and/or its licensors and are protected by all United States and international copyright laws. ReviewMyCommunity.net respects the intellectual property of others. It is our policy to respond expeditiously to legitimate claims of copyright and other intellectual property infringement. We will promptly process and investigate notices of alleged infringement and will take appropriate actions under the Digital Millennium Copyright Act (“DMCA”) and other applicable intellectual property laws. Upon receipt of notices complying or substantially complying with the DMCA, we may act expeditiously to remove or disable access to any material claimed to be infringing or claimed to be the subject of infringing activity and may act expeditiously to remove or disable access to any reference or link to material or activity that is claimed to be infringing. We may terminate access for users of the Site and Service who are infringers. 6 a statement by you, made under penalty of perjury, that the above information in your Notice is accurate and that you are the copyright or intellectual property owner or authorized to act on the copyright or intellectual property owner’s behalf. Providing ReviewMyCommunity.net with Counter-Notification: If we remove or disable access to Content in response to an infringement notice, we may make reasonable attempts to contact the owner or administrator of the affected content. If your material has been removed and you feel that your material does not constitute infringement, you may provide us with a counter notification by written communication to concierge@ReviewMyCommunity.net that sets forth all of the necessary information required by the DMCA (http://www.copyright.gov/title17/92chap5.html#512). Please note that you may be liable for damages (including costs and attorneys’ fees) if you materially misrepresent that an activity is not infringing the copyrights of others. If you are uncertain whether an activity constitutes infringement, we recommended seeking advice of an attorney. The Site and Services may be subject to limitations, delays, failure, and other problems inherent in the use of the Internet and electronic communications. ReviewMyCommunity.net is not responsible for any delays, failures or other damage resulting from such problems. You acknowledge that ReviewMyCommunity.net has no control over, and no duty to take any action regarding: which users gain access to or use the Site and Services; what effects the content on or in connection with the Site and Services may have on you; how you may interpret or use the content on or in connection with the Site and Services; or what actions you may take as a result of having been exposed to the content on or in connection with the Site and Services. You release ReviewMyCommunity.net from all liability for you having acquired or not acquired content or information through the Site and Services. The Site and Services may contain, or direct you to Site containing, information that some people may find offensive or inappropriate. ReviewMyCommunity.net makes no representations concerning any content contained in or accessed through the Site and Services, and ReviewMyCommunity.net will not be responsible or liable for the accuracy, copyright compliance, legality or decency of material contained in or accessed through the Site and Services. ReviewMyCommunity.net makes no guarantee or warranty, express or implied, as to the reliability, accuracy, timeliness or completeness of that information and assumes no responsibility for any errors or omissions therein. YOU ACCESS AND USE THE SITE AND SERVICES AT YOUR OWN RISK. THE SITE AND SERVICES ARE PROVIDED ON AN ‘AS IS, AS AVAILABLE’ BASIS WITHOUT WARRANTY OF ANY KIND AND ANY AND ALL WARRANTIES OF MERCHANTABILITY OR FITNESS FOR A PARTICULAR PURPOSE OR NON-INFRINGEMENT ARE SPECIFICALLY DISCLAIMED. NEITHER ReviewMyCommunity.net NOR ITS AFFILIATES, EMPLOYEES, AGENTS OR THIRD PARTY CONTENT PROVIDERS SHALL BE LIABLE FOR ANY LOSS RESULTING FROM USE OR UNAVAILABILITY OF INFORMATION OR CONTENT ON OR IN CONNECTION WITH THE SITE AND SERVICES, INCLUDING BUT NOT LIMITED TO ANY LOST PROFITS, LOSS OR DAMAGE TO DATA, OR ANY DIRECT, INDIRECT, SPECIAL, CONSEQUENTIAL, COMPENSATORY OR INCIDENTAL DAMAGES, EVEN IF THEY HAVE BEEN ADVISED OF THE POSSIBILITY OF SUCH DAMAGES. THIS DISCLAIMER IS APPLICABLE TO ANY DAMAGE OR INJURY RESULTING FROM NEGLIGENCE OR OMISSION OF ReviewMyCommunity.net, COMPUTER VIRUS OR OTHER SIMILAR ITEM, TELECOMMUNICATIONS ERRORS, OR UNAUTHORIZED ACCESS TO, OR USE OF USER INFORMATION THROUGH THEFT OR ANY OTHER MEANS. WE ARE NOT LIABLE FOR CRIMINAL, TORTUOUS, OR NEGLIGENT ACTIONS OR OMISSIONS OF THIRD PARTIES THAT AFFECT THE SITE AND SERVICES. IN NO EVENT WILL ReviewMyCommunity.net OR ANY OF ITS DIRECTORS, OFFICERS, AFFILIATES, AGENTS, EMPLOYEES, ASSIGNS OR THIRD PARTY CONTENT PROVIDERS BE HELD LIABLE FOR ANY TORTUOUS OR ILLEGAL CONDUCT OF OTHER USERS. IN NO EVENT WILL ReviewMyCommunity.net OR ANY OF ITS AFFILIATES, AGENTS, EMPLOYEES OR ASSIGNS BE HELD LIABLE FOR ANY DAMAGE TO EQUIPMENT, HARDWARE OR OTHER PROPERTY OF USER OR PERSONAL INJURY THAT ARISES IN CONNECTION WITH USE OF THE SITE AND SERVICES. ANY MATERIAL ACCESSED, DOWNLOADED, OR OTHERWISE OBTAINED THROUGH THE USE OF THE SITE AND SERVICES IS DONE AT YOUR OWN DISCRETION AND RISK AND YOU WILL BE SOLELY RESPONSIBLE FOR ANY DAMAGE TO YOUR COMPUTER SYSTEM OR LOSS OF DATA THAT RESULTS FROM THE DOWNLOAD OF ANY SUCH MATERIAL. NO ADVICE OR INFORMATION, WHETHER ORAL OR WRITTEN, OBTAINED BY YOU FROM ReviewMyCommunity.net OR THROUGH OR FROM THE SITE AND/OR SERVICES SHALL CREATE ANY WARRANTY NOT EXPRESSLY STATED IN THE TERMS. EXCEPT AS OTHERWISE EXPRESSLY PROVIDED IN THE TERMS, ReviewMyCommunity.net DOES NOT REPRESENT OR WARRANT THAT (I) THE SITE AND/OR SERVICES WILL MEET YOUR REQUIREMENTS, (II) THE SITE AND/OR SERVICES WILL BE UNINTERRUPTED, TIMELY, SECURE, OR ERROR-FREE, (III) THE RESULTS THAT MAY BE OBTAINED FROM THE USE OF THE SITE AND/OR SERVICES WILL BE ACCURATE OR RELIABLE, (IV) THE QUALITY OF ANY PRODUCTS, SERVICES, INFORMATION, OR OTHER MATERIAL PURCHASED OR OBTAINED BY YOU THROUGH THE SITE WILL MEET YOUR EXPECTATIONS, AND (V) ANY ERRORS IN THE SOFTWARE WILL BE CORRECTED. YOU AGREE THAT FROM TIME TO TIME WE MAY REMOVE THE SERVICE FOR INDEFINITE PERIODS OF TIME, OR CANCEL THE SERVICE AT ANY TIME, WITHOUT NOTICE TO YOU. BECAUSE SOME JURISDICTIONS DO NOT ALLOW THE EXCLUSION OF IMPLIED WARRANTIES, THE ABOVE EXCLUSION OF IMPLIED WARRANTIES MAY NOT APPLY TO YOU. BECAUSE SOME STATES OR JURISDICTIONS DO NOT ALLOW THE EXCLUSION OR THE LIMITATION OF LIABILITY FOR CONSEQUENTIAL OR INCIDENTAL DAMAGES, IN SUCH STATES OR JURISDICTIONS, ReviewMyCommunity.net’S LIABILITY SHALL BE LIMITED TO THE EXTENT PERMITTED BY LAW. ReviewMyCommunity.net SHALL USE REASONABLE EFFORTS TO PROTECT INFORMATION SUBMITTED BY YOU IN CONNECTION WITH THE SERVICES, BUT YOU ACKNOWLEDGE AND AGREE THAT YOUR SUBMISSION OF SUCH INFORMATION IS AT YOUR SOLE RISK, AND ReviewMyCommunity.net HEREBY DISCLAIMS ANY AND ALL LIABILITY TO YOU FOR ANY LOSS OR LIABILITY RELATING TO SUCH INFORMATION IN ANY WAY. ReviewMyCommunity.net has no control over and no duty to take any action regarding: other users’ behavior; what effects Content may have on you; how you may interpret or use Content; or what actions you may take as a result of having been exposed to Content. You release ReviewMyCommunity.net from all liability for you having acquired or not acquired Content through the Site and Services. ReviewMyCommunity.net makes no representations concerning any Content, including the accuracy thereof, contained in or accessed through the Site and Services, and ReviewMyCommunity.net will not be responsible or liable for the accuracy, copyright compliance, legality or decency of material contained in or accessed through the Site and Services. The Site and Services may display links to other Internet Site or resources. Because ReviewMyCommunity.net has no control over such Site and resources, you acknowledge and agree that ReviewMyCommunity.net is not responsible for the availability of such external Site or resources, and does not endorse and is not responsible or liable for any content, advertising, products or other materials on or available from such Site or resources. You further acknowledge and agree that ReviewMyCommunity.net shall not be responsible or liable, directly or indirectly, for any damage or loss caused or alleged to be caused by or in connection with use of or reliance on any such content, goods or services available on or through any such site or resource. 3 If you use computer programming routines that are intended to aggregate records or reports from the Site and Services or otherwise damage, interfere with, disrupt, impair, disable or otherwise overburden the Site and Services, you agree to pay One Hundred Dollars ($100) for each report or record that is aggregated, disrupted, damaged or otherwise affected by you. If you have any comments or questions regarding these Terms, or wish to report any violation of these Terms of Service, please contact us at concierge@ReviewMyCommunity.net. We will address any issue to the best of our abilities.